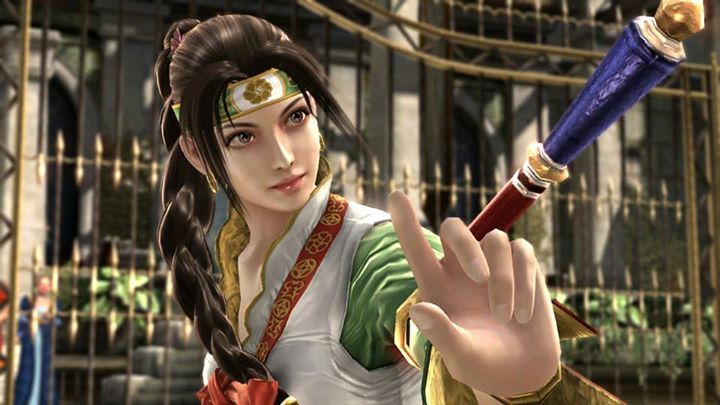 ABOUT: Soul Calibur: Lost Swords is a free-to-play, single-player spin-off of Soul Calibur 5 released in early 2014 and was ended in November 2015. 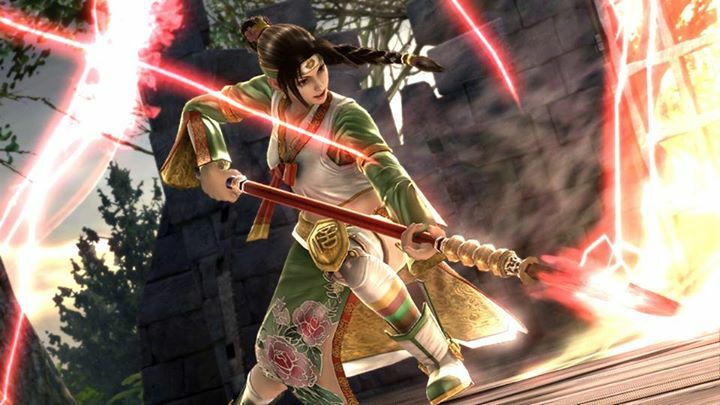 Lost Swords features familiar mechanics to Soul Calibur 5, with some returning characters from the most recent installment. Like other fighting games experimenting with "free-to-play" models, Lost Swords features a variety of micro-transactions consisting of bonus content like power-ups and armor. 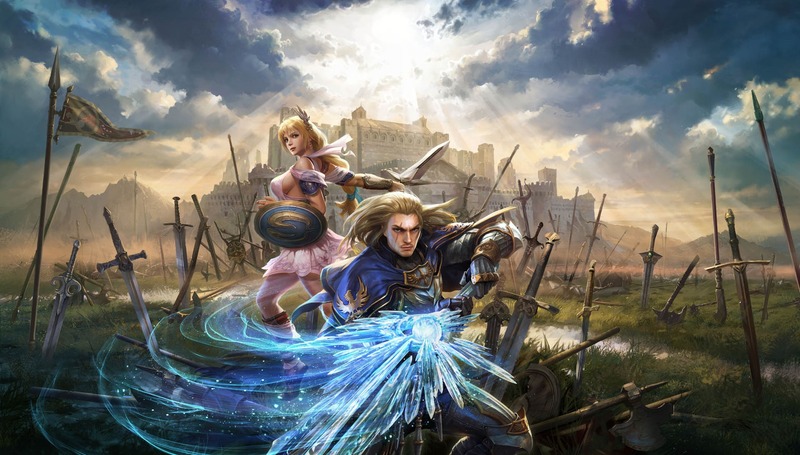 Lost Swords uses a "time-limited" credits system like most F2P games, where players must purchase tokens for continuous playing (or just wait 15-20 minutes for new tokens). 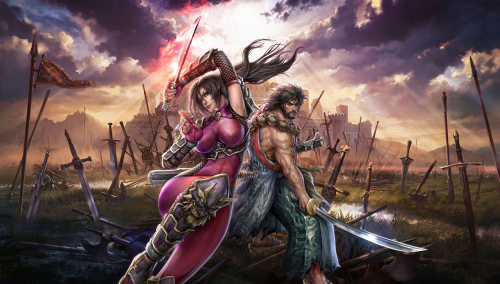 Very strangely, Soul Calibur: Lost Swords ditches the multiplayer aspect of 99.999% of all fighting games, and primarily aims to be a 1-player experience. (Who's idea was that?!?). The core gameplay is based around players collecting loot by defeating enemies and discovering / creating new weapons. As players defeat opponents, they obtain new weapons as well as raw materials which are used to create new "elemental-infused" weapons. These color-coded elemental weapons are key to defeating certain opponents. Typically, you'll acquire a stockpile of loot (weapons & raw materials) that you can equip & power-up or sell for gold (which is used to infuse / power-up weapons). While playing through the mode, players will also unlock additional playable characters (which may also put some of that previously unused loot to good use). 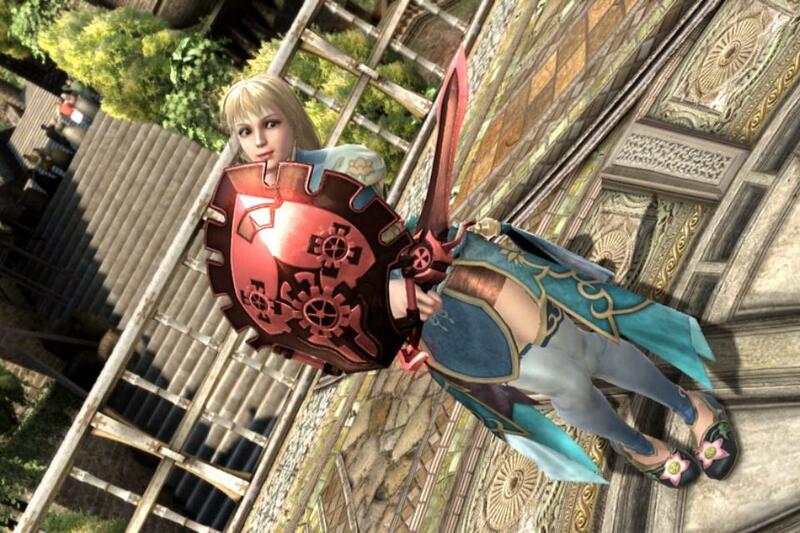 Sophitia makes her return from Soul Calibur IV. 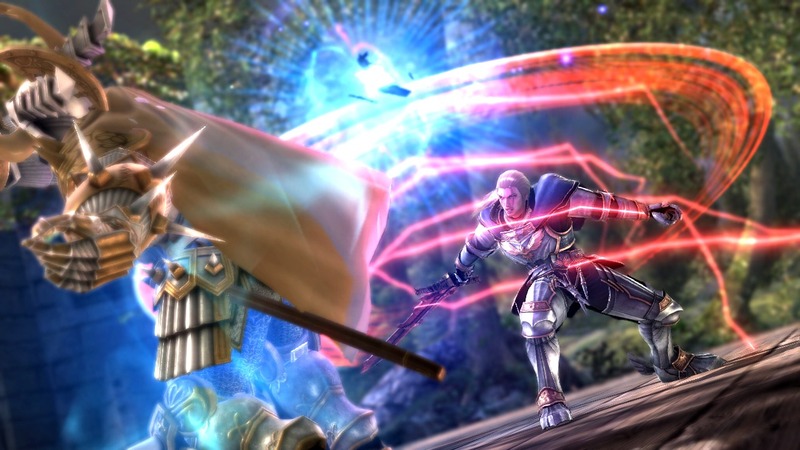 Guard Impacts (high only) make their return, and unlike in SC5, can be used at any time. New gameplay systems introduced in Lost Swords include the following: Soul Burst, Soul Break, Weapon Arts and the Support Characters system. 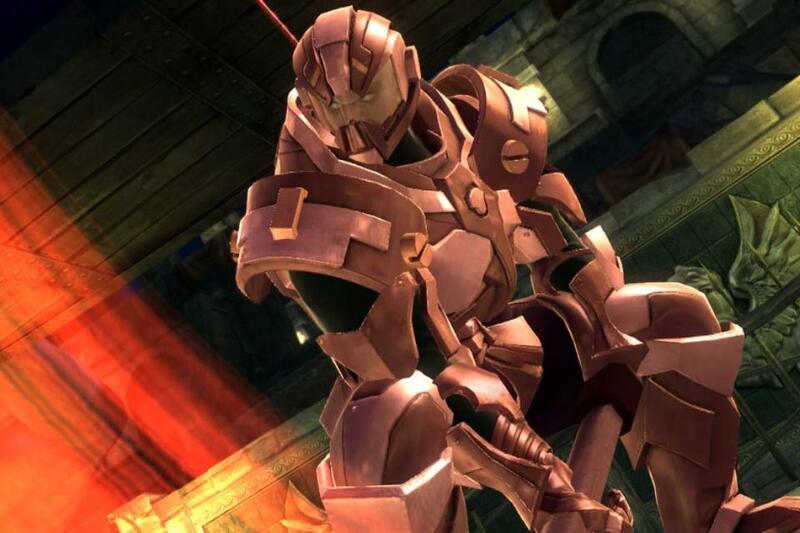 Similar to armor break systems from past installments, a "Soul Break" occurs after certain conditions are met. When an opponent is susceptible to a Soul Break, a red aura ignites around them (known as a "Soul Burst"). When players break their opponent's armor, they will have a chance to collect a "drop" from the opponent if they defeat them within the time limit. 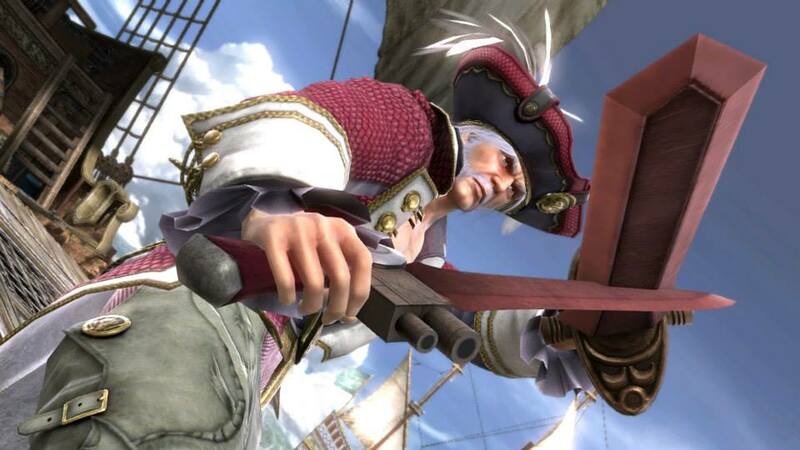 "Weapon Arts" are powerful attacks which vary depending on the equipped weapon. These are similar to super moves from past installments, and are activated simply by pressing R1 (or 1+2) once the Weapon Art Gauge is full. Finally, the "Character Support" system allows players to use other players' characters to assist during quests. 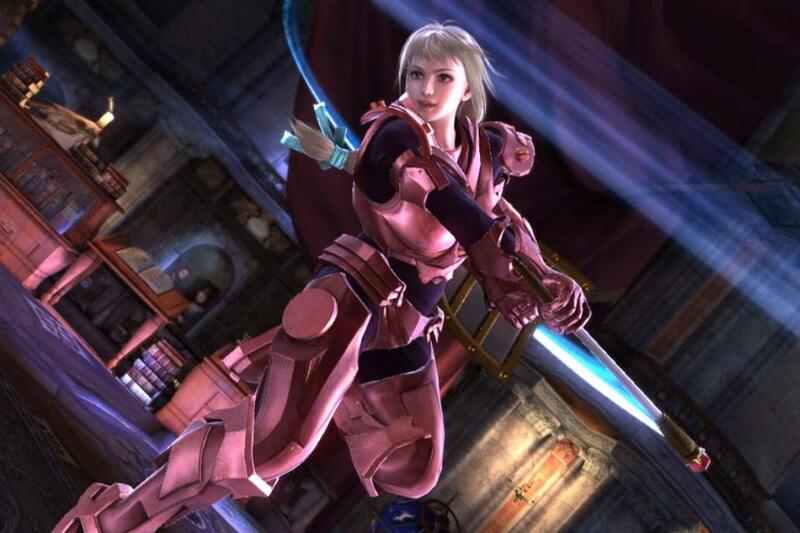 After utilizing a "character card," the current fighter will be swapped out on the fly and the support character can be used for a short period of time. If your friend's character is a higher level than yours, this can certainly come in handy. There's also a level of strategy to consider when you and your support character have different elemental weapons. Returning characters have also been given a variety of new (and easy-to-perform) combo strings (ex. Hitting "A, A, A, A" is a new 4-hit chain combo for Mitsurugi). Siegfried demonstrating a "red" elemental attack. Considering the game's title, one would assume that the "Lost Swords" might represent fan-favorite characters who went missing in Soul Calibur 5. 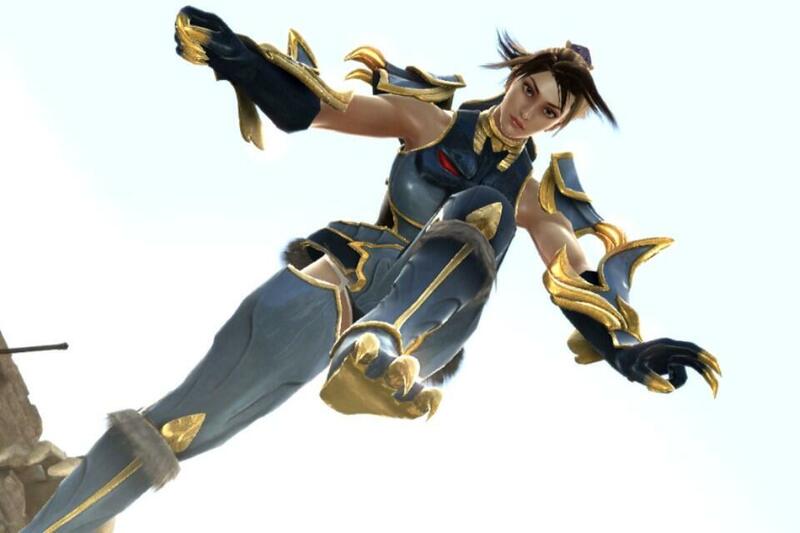 This turned out to be only partially true, as Sophitia, Taki & Amy made their return from Soul Calibur IV, but of course, many other fan favorites are still missing. Regardless of the roster, the fact that this game has no multiplayer mode at all almost makes it meaningless. If the roster was actually good, it would be even more sad. I was hoping Project Soul would eventually announce a multiplayer mode for the title, but that obviously didn't happen. In my experience with Lost Swords, I began playing the Japan version when it came out February (and interestingly, all my stats conveniently transferred over to the North America version when it released). After playing on & off for several months, I tried... but I never could understand the point of the game. I was left with way more questions than answers... Why single-player only? Why the lack of effort? 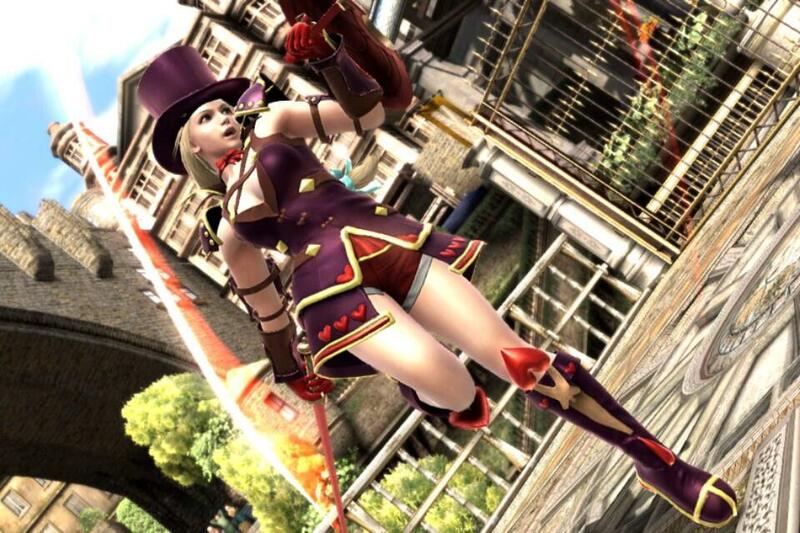 Why not an expansion of Soul Calibur 5 instead? The dumbed down movelists (yes, even more dumbed down than in SC5) put a bad taste in my mouth from the start. On the bright side, the movelists aren't deteriorated enough to make me not want to play the game at all. There are actually many new combo strings per character, which reminds me of Soul Edge / Blade in some weird way... and dare I say some of the combo possibilities are actually kinda fun (as fun as beating up on silly CPU AI can be). For many moths since the game's release, painfully slow load times were easily among the game's biggest flaws... but the load times were remedied in the Sept. 2014 patch (1.2). I'm glad they cancelled it.... 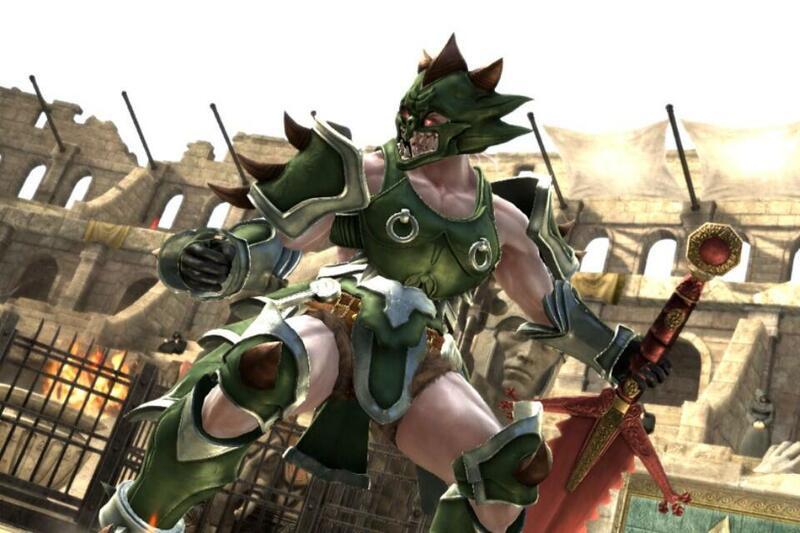 It's obvious that whoever was behind the design plan of Soul Calibur: Lost Swords had no part in the creation of the original Soul Calibur games. Because if you worked on those games, you wouldn't want to see such a highly respected series deteriorated in such a way. 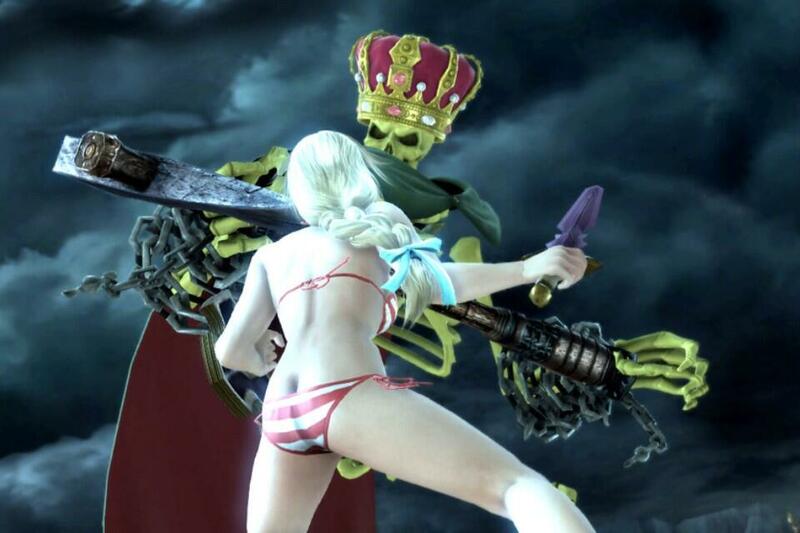 It boggles my mind that Project Soul / Bandai Namco supported this "game" for over a year, adding new content, guest artists costumes, etc... when all of that effort and content could've been directed towards making SC5 better, instead. The existence of this game just never made any sense to me. 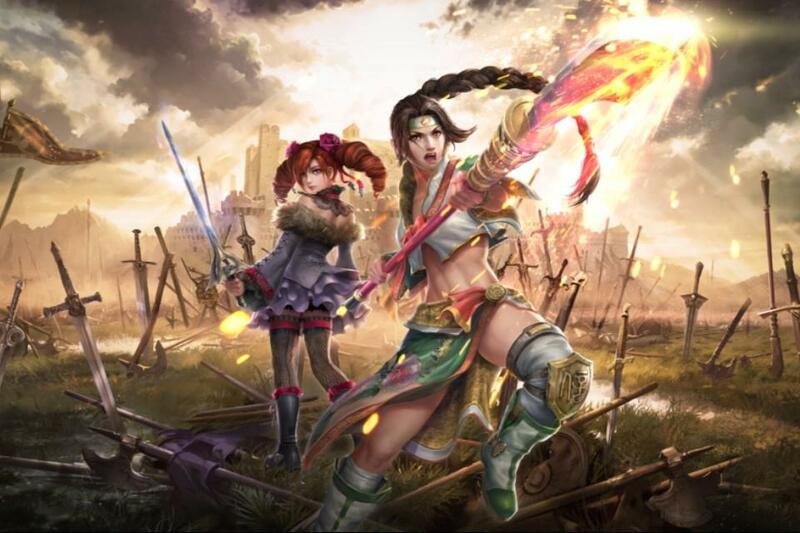 And I thought Soul Calibur Legends was a weird and unnecessary spin-off... A single-player Soul Calibur game, with no multiplayer or VS mode at all? Obviously, that's a massive disappointment for competitive players right off the bat, and a joke really. 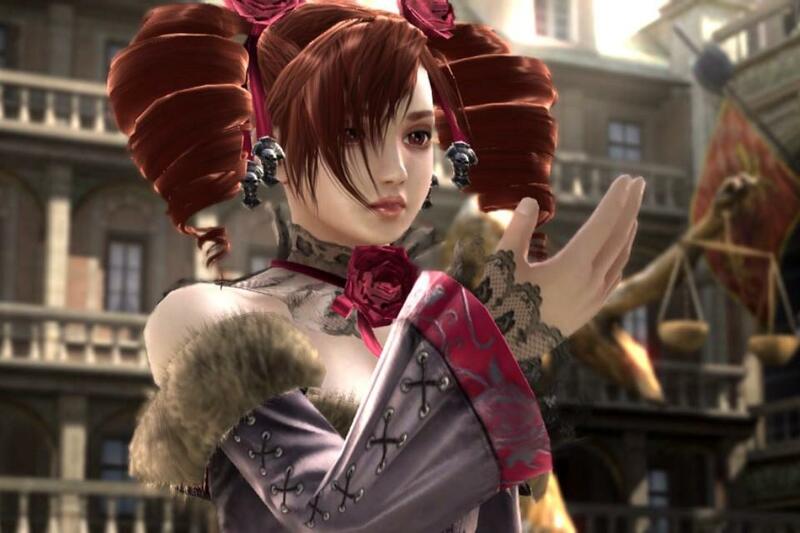 Need I say that the majority of my best Soul Calibur memories are playing epic, parry-filled matches against skilled opponents? Overall, Lost Swords feels more like a typical "shallow" mobile phone game than a console game (and actually would feel more natural on a phone with all the microtransactions trying to steal your money). Lost Swords also emits a blatantly "noob-friendly" vibe that slaps any halfway-skilled Soul Calibur player across the face on their first go-around. I'm really not sure if this game was made for returning fans at all. And even if it was directed mainly towards "new" players, Lost Swords doesn't come close to giving the right vibe & presentation to get newcomers interested in the series. For starters, your selected character starts out fighting in their UNDERWEAR... for quite a while... until you can manage to "acquire" clothing items, new weapons, etc. So apparently you start out as "homeless" in Lost Swords and have to fight for cloths? (Or, it's like one of those bad dreams where you have to walk around in public in your underwear). And when you do finally retrieve some clothing, your options are nothing but horribly generic items that never seem to match. Overall, it's embarrassing on many levels.... It seems like a bad joke.